The New York Yankees and the Boston Red Sox will face off for the final four times during the 2017 regular season tonight and into the weekend so let’s get pumped, let’s get excited and let’s steal this division away from them. Rivalry renewed ladies and gentleman and there’s a whole lot riding on this four-game series. 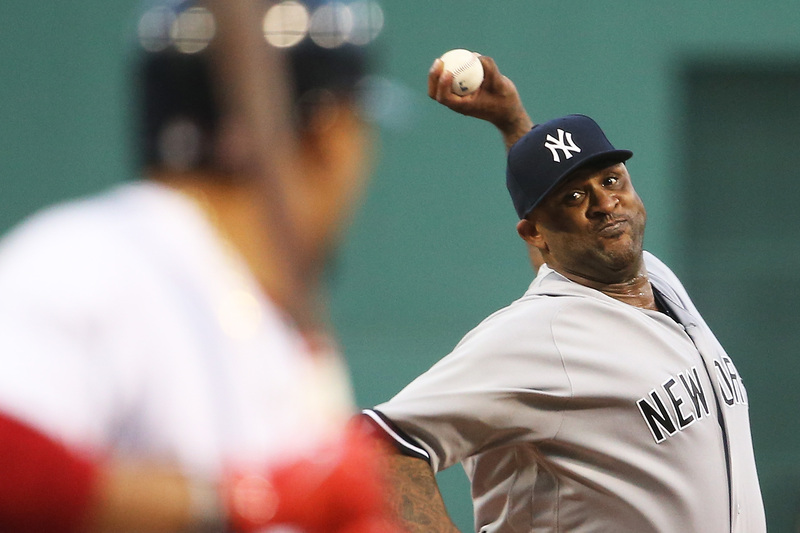 In the opener of the series the Yankees will send CC Sabathia to the mound to square off with Eduardo Rodriguez for the Red Sox. A battle of the lefties commences here in just a few short hours. Sabathia has made two starts since coming off the disabled list with right knee pain and has allowed just three runs in 13 innings of work. This will mark the first time Sabathia has faced his former and original team this season and the 12th time the southpaw has seen him throughout his career. Rodriguez on the other hand hasn’t been impressive since coming off the disabled list posting a 0-2 record with a 5.08 ERA in eight starts for Boston. Rodriguez has been tough inside Yankee Stadium though throughout his career posting a career 2-1 record and 1.38 ERA in four starts so the Bronx may be just what the doctor ordered for the man they call E-Rod. The game will be played at 7:05 pm ET inside Yankee Stadium and can be seen on WPIX Channel 11, MLB Network and MLB TV. You can also follow along in your cars and on the radio by tuning into the WFAN broadcast with John Sterling and Suzyn Waldman. Say what you will about Mr. and Ms. Baseball and their telecast but it always seems that no matter your opinion on them you always miss them when they are gone. We have less than 30 games to go during this regular season and I’m already starting to miss them if I’m being honest. Need a win, get a win. Especially against these Boston Red Sox. Go Yankees!! !